James Turk: Founder & Chairman of GoldMoney – James has written “The Freemarket Gold & Money Report,” an investment newsletter since 1987. James has specialized in intl. banking, finance and investments since ‘69. His business career began at The Chase Manhattan Bank (now JP Morgan Chase Bank). He subsequently joined the investment and trading company of a prominent precious metals trader based in Greenwich, Conn. Lived in UAE as appointed Manager of the Commodity Department of the Abu Dhabi Investment Authority, until ‘87. 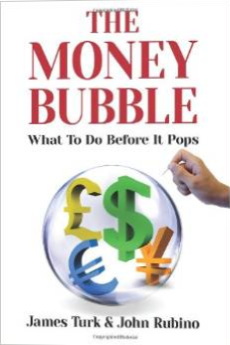 James Turk & John Rubino are back with their latest book “The Money Bubble, What To Do Before It Pops,” and say that history is about to repeat. Instead of addressing the causes of the 2008 financial crisis, the world’s governments have continued along the same path, accumulating even more debt and inflating even bigger financial bubbles. So another — even bigger — crisis is coming. Whether it ends up being called a “crack-up boom” or “the End of Paper Money” or “the Second Great Depression,” it will change everything, from the kinds of investments that create new fortunes to the kinds of money that most of us save and spend. 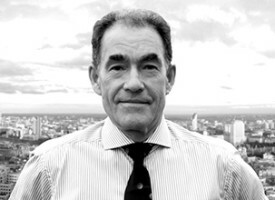 James Turk: Founder & Chairman of GoldMoney – James Turk has specialized in international banking, finance and investments since graduating in 1969 from George Washington University with a B.A. degree in International Economics. His business career began at The Chase Manhattan Bank (now JP Morgan Chase Bank), which included assignments in Thailand, the Philippines and Hong Kong. He subsequently joined the investment and trading company of a prominent precious metals trader based in Greenwich, Connecticut. He moved to the United Arab Emirates in December 1983 to be appointed Manager of the Commodity Department of the Abu Dhabi Investment Authority, a position he held until resigning in 1987. Since 1987 James Turk has written The Freemarket Gold & Money Report, an investment newsletter that publishes twenty issues annually. 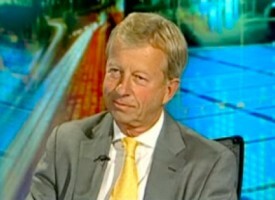 He is the author of two books and several monographs and articles on money and banking. He is the co-author of The Money Bubble, What To Do When It Pops (Paperback, January 2014), he is also, the co-author of The Coming Collapse of the Dollar (Doubleday, December 2004), which has been updated for a newly released paperback version, now entitled The Collapse of the Dollar. 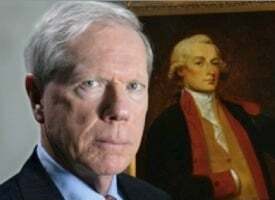 Biography from FGMR – James Turk has specialized in international banking, finance and investments since graduating in 1969 from George Washington University with a B.A. degree in International Economics. He began his business career with The Chase Manhattan Bank, with whom he worked for eleven years, principally in the International Department, which included assignments in Thailand, Hong Kong and the Philippines. From 1980 to 1983, Mr. Turk was with RTB, Inc., the private investment and trading company of a prominent precious metals trader based in Greenwich, Connecticut. He moved to the Middle East in December 1983 to be appointed Manager of the Commodity Department of the Abu Dhabi Investment Authority. In this position, Mr. Turk was responsible for developing and implementing the investment strategies of that organization’s portfolios of precious metals. Mr. Turk held this position until March 1987. 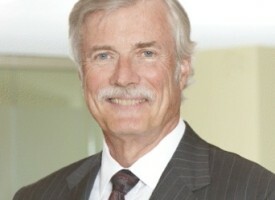 Since then Mr. Turk has acted as Chief Executive of Greenfield Associates, a firm he established in 1985 to publish his work and to provide investment research and trading advice, principally to investment managers, hedge funds and commodity trading advisors in the United States and Europe. 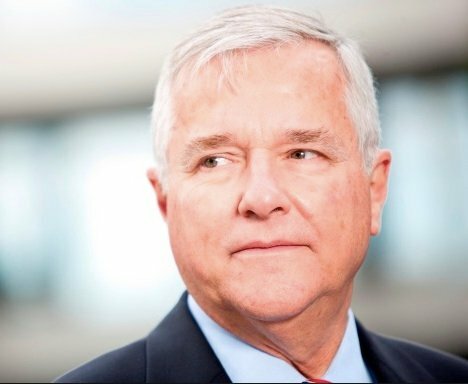 From 1995 to 1999 he was a Director of Lion Resource Management Ltd. of London, England, a firm which was the sub-advisor to the Midas Fund, a publicly listed mutual fund in the United States that invested in the equities of companies involved in the mining and exploration of precious metals. Mr. Turk is the Founder of GoldMoney, a new electronic currency for use in ecommerce, which is the result of United States patents awarded to him in September 1997 and June 1999. Details are provided at GoldMoney. Since 1987 Mr. Turk has written the Freemarket Gold & Money Report, an investment newsletter that publishes twenty issues annually. He is the author of The Illusions of Prosperity (1985), SOCIAL SECURITY Lies, Myths and Reality (1992) and several monographs on money and banking. 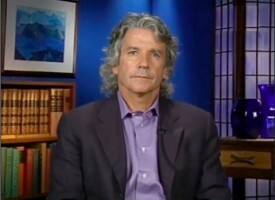 His articles have appeared in numerous financial publications. 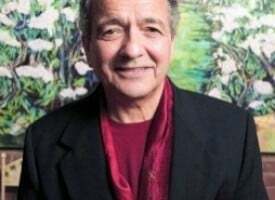 He frequently speaks at investment conferences on Gold, money, and the international banking system, and often appears as a featured guest on radio and television. In their 2004 book The Coming Collapse of the Dollar, James Turk and John Rubino advised readers to bet against the housing bubble before it popped and to buy gold before it soared. Those were literally the two best investment ideas of the decade. “The Money Bubble, What To Do Before It Pops” – Now Turk and Rubino are back to say that history is about to repeat. Instead of addressing the causes of the 2008 financial crisis, the world’s governments have continued along the same path, accumulating even more debt and inflating even bigger financial bubbles. So another — even bigger — crisis is coming. Whether it ends up being called a “crack-up boom” or “the End of Paper Money” or “the Second Great Depression,” it will change everything, from the kinds of investments that create new fortunes to the kinds of money that most of us save and spend. Among many other things, the authors explain: • How governments are hiding the scope of the problems they face. • Why the world’s paper currencies will soon stop functioning as money. • How you can protect your savings from the threats posed by this transition from “unsound” paper currencies to “sound” money like gold and silver. • How you can actually make money — perhaps a lot of it — during this transition. “Because the Money Bubble involves the world’s major currencies rather than just a discrete asset class like houses or tech stocks, its bursting will be both far more devastating for the unprepared and far more profitable for those able to understand it and act accordingly. Our goal is to usher you into this small but happy second group.” — James Turk and John Rubino, The Money Bubble.